For those who aren’t up on Chrome Industries, now is the best time to get familiar with the messenger bag gurus. The company’s been responsible for assembling the best of the best in travel bag wear, placing a heavy focus on “functionality, utility and durability.” As its brand continues to expand on a global scale, so has its collection of carry-ons, which include a number of dope rucksacks, postsbags, and yes, camera bags. 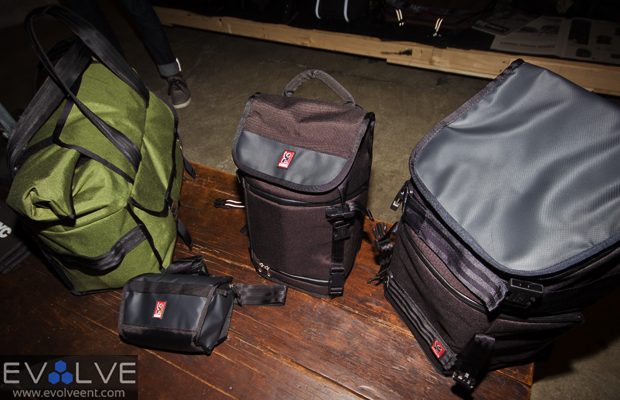 EvolveTV stepped into its NYC shop on 238 Mulberry St. to get a sneak peak at the Chrome Bags 2013 Spring Collection, and needless to say, everything looks official. Product Director Ben McCosh steps in front of our cameras to showcase the company’s latest creations, which consist of new additions to its Welded Transport, Sputnik, and Niko lines. We’ll let Ben breakdown the indestructible materials and detailed manufacturing of each set.